I’ve heard sometimes of Enzo Ferrari, but was not really interested in his story and the history of the cars. It was the first time that I went to a “real” car museum and the visit wasn’t planned. We came for the Balsamico and I just rembered that Modena was the hometown of Enzo Ferrari. 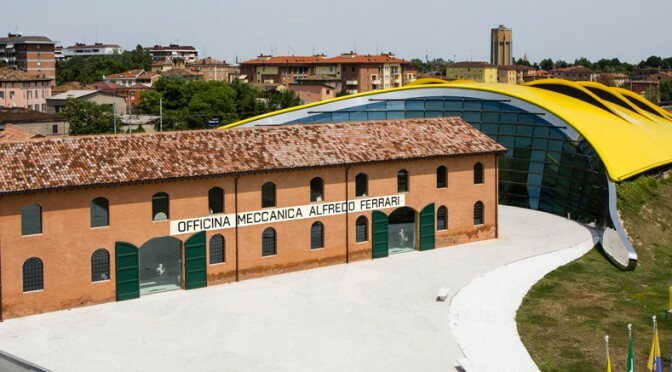 The company Ferrari runs two museums in Italy, the “Museo Enzo Ferrari” in Modena and the “Museo Ferrari” in Maranello. 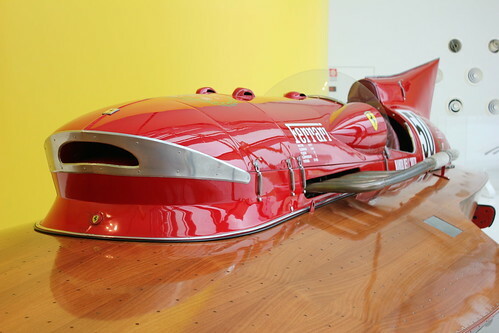 The Museum in Modena consists of the workshop of Alfredo Ferrari and a new futuristic hall with changing exhibitions. Enzo sold this workshop to have enough money to start the Ferrari company in Maranello. There is a space in which Enzo Ferrari’s story is told as an animated comic strip, another room with his office and a hall full of unique Ferrari cars and engines. The most impressive piece for me was the first Ferrari (125 S). It was produced in 1947 and only two examples were built! The car and of course the engine (V12) are pieces of art! The newest model in the room is the Ferrari Enzo. It was build 399 times between 2002 and 2004. The engines in the background are made by hand and they really look like sculptures. 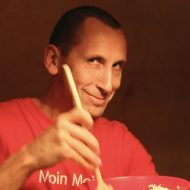 I didn’t know, that Ferrari built wooden(!) speed boats too. In the futuristic yellow exhibition area was a Maserati exhibition and I was blown away by the elegance of these cars!